Line the baking pan with heavy duty foil; brush all over with 1 T. of the oil. Set aside. In large bowl, toss the quinoa flakes, coconut, sunflower seeds, and almonds. In a measuring cup whisk together the honey, remaining oil and 1 C. water. Pour over the quinoa mixture and toss to combine. Spread over the baking pan. Bake in the centre of 275 degree F. (140 degree C.) oven for about 2 hours, checking every 15 minutes. 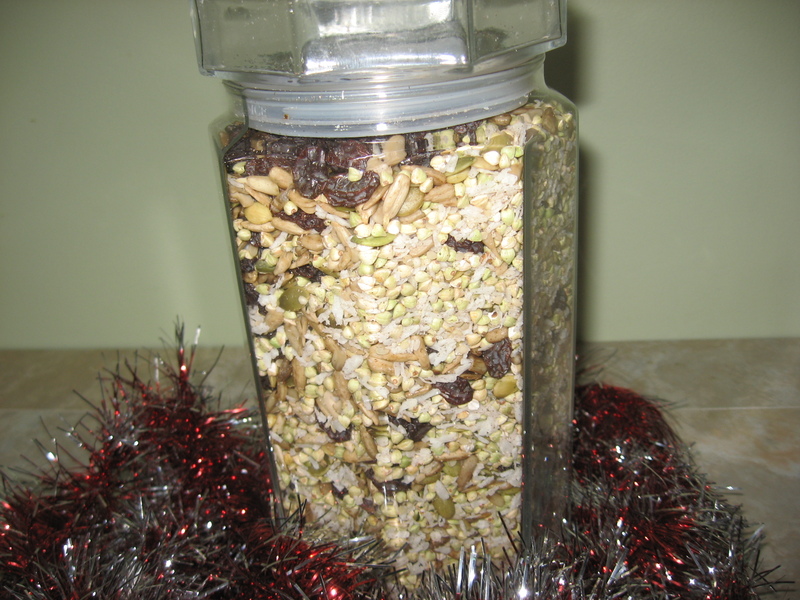 The granola is done when the ingredients clump together and the liquid is evaporated. Let cool on pan on rack. Break apart any large clumps. Stir in the blueberries and cranberries. Makes about 5 Cups. Store in glass mason jars. 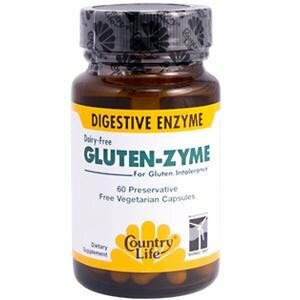 If you have digestive issues (sometimes people do with quinoa flakes) then I would like to suggest that you take a digestive enzyme capsule -- digestive enzymes caps are a boon when eating any 'cooked' meal meaning that the food's natural enzymes-- the digesters- have been compromised. 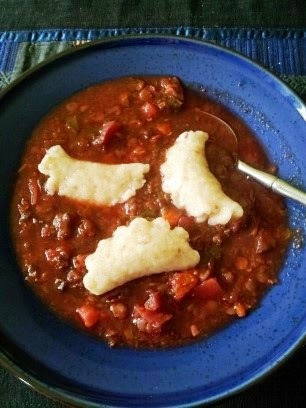 Read more about enzymes and gluten-free diets here.